This list of top costume dramas continues with the final installment of this list. Two queens, a princess, and lots of romance comprise the series listed below. Find out which period pieces made the list and where to stream them. To read Part I, click here. Completing the list, in no particular order, are 5 more costume dramas that are definitely worth watching. The CW's exquisite costume drama came to an end in 2017. As sad and frustrating as that is, "Reign" gave fans a wonderfully entertaining final season, complete with a new cast of characters that proved as compelling as its legacy members. 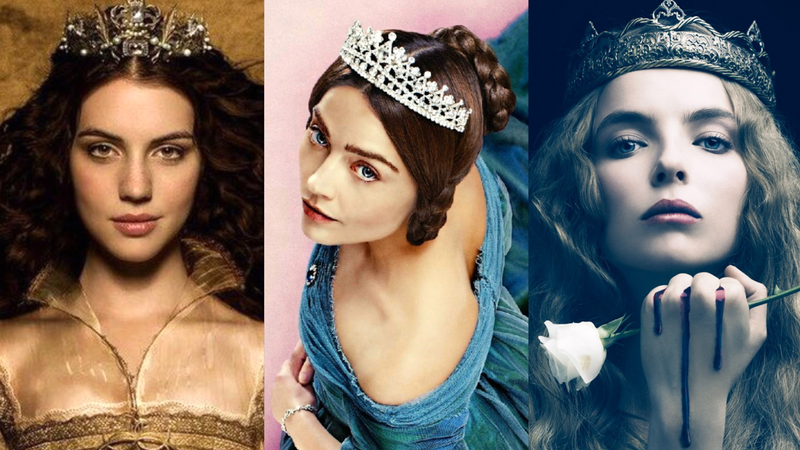 When all is said and done, "Reign" was ruled by three fascinating queens, whose schemes for ultimate power never wavered on intrigue or entertainment value. TV is not the same without them. While it may sound corny, it’s true. "Reign" may have left the airwaves, but it will never leave its special place in fans' hearts. “Reign” is currently streaming on Netflix. When it comes to outstanding TV seasons, you cannot wish to aim any higher than “Poldark” Season 1. Romance, action, adventure, and mining have never been so compelling. A strong ensemble only bolsters the series’ case. As Ross Poldark (Aidan Turner) comes home to find his world completely changed, he forges an incredible and unexpected romance with the passionate, Demelza (Eleanor Tomlinson). Life, love, and liberty are fought for on a continual basis and Season 1 gives fans its best dose of all three. The first two seasons of "Poldark" are currently streaming on Amazon Prime. The sequel series to 2013’s “The White Queen” had a considerable crown to fill, and to this fan’s tremendous and pleasant surprise, it managed to do it. 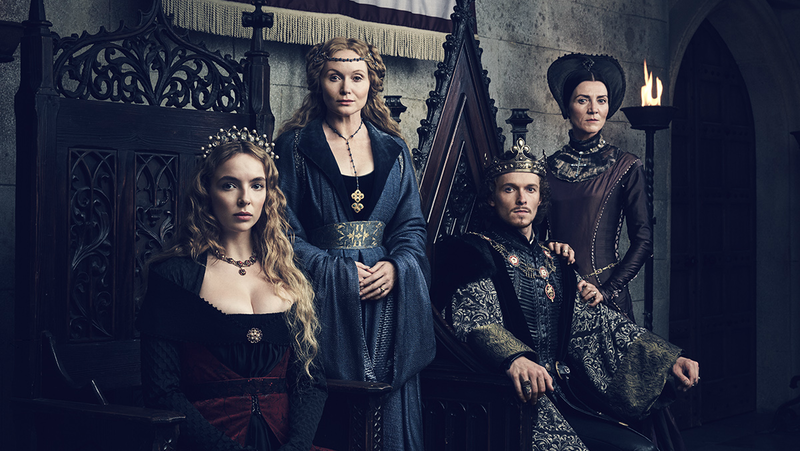 Showrunner Emma Frost delivers an enthralling adaptation of Philippa Gregory’s novel. Following the aftermath of the Wars of the Roses, Elizabeth “Lizzie” York (Jodie Comer) is forced to marry the new king, Henry VII (Jacob Collins-Levy). While they try to unite their warring houses, their relatives have different plans that will threaten to destroy everything they have built, including their own family. Knockout performances from lead actress Jodie Comer and newcomer Jacob Collins-Levy propel the dark series, along with the pair’s powerful romantic chemistry. Meanwhile, Michelle Fairly provides the series’ diabolical villainy as Henry’s deranged and power-thirsty mother, Margaret. A heartbreaking performance by Patrick Gibson (“The OA”), as the House of York’s greatest weapon against the Tudors, and Amy Manson’s as his wife, imbue “The White Princess” with emotional stakes, you may not have anticipated for both sides. One of the series’ standout scenes transpires in the finale between Lizzie and the man claiming to be her brother, Richard. Comer and Gibson more than rising to the occasion in the scene, creating one of television's most haunting scenes. "The White Princess" is many things and one of them is memorable. The series is currently available to stream via Starz on Demand. Jenna Coleman stuns as Queen Victoria in this ITV/PBS Masterpiece series. “Victoria” Season 1 introduced a mighty queen, who finds love, romance, and danger around every turn. The series’ grey cinematography creates a dreary visage that Coleman’s luminous turn as Victoria, quickly proves mute. The first season of "Victoria" is currently streaming on Amazon Prime. Season 2 premieres on PBS Masterpiece, January 14. This 2004 adaptation of “North & South” is a prime example of the perfect miniseries, as it stirs audiences’ with its wintry ambiance, sweeping romance, and gripping drama. Set in Victorian England, the story unfolds around a young woman (Daniela Denbe-Ashe), who relocates to the city from the English countryside with her parents. Enter her fiery relationship with intense cotton miller owner, John Thornton (Richard Armitage), and you have a recipe for romance at its finest. Thanks to Armitage's performance, Thornton is one of the most memorable male protagonists to ever hit the screen. Read why Eclectic Pop proclaimed “North & South” a “masterpiece,” here. The outstanding miniseries is currently streaming on Netflix.